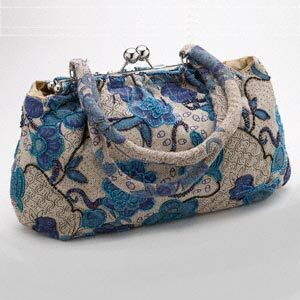 Make a statement with this beaded canvas floral print bag. 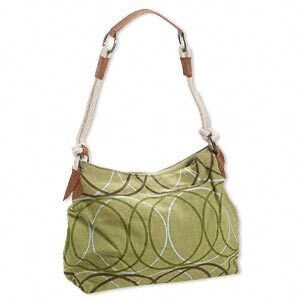 The perfect bag for going green! Made of cotton with leather accents! Measures 11" x 11" x 5"